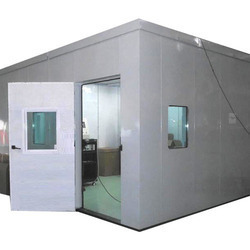 Prominent & Leading Manufacturer from Chennai, we offer soundproof acoustic enclosure and acoustic enclosure. We are engaged in presenting the elevated range of Commercial Purpose Soundproof Acoustic Enclosure. The offered enclosure is designed with the aid of superior quality raw material and advanced technology. 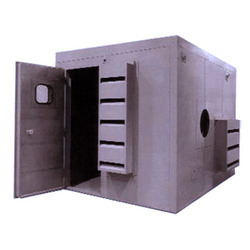 We manufacture Generator Enclosures and Acoustic Enclosure which is designed in such a way to have optimized power presses. Our offered enclosure is available in various dimensions and sizes as per the client’s needs. These are sound proof enclosures with low noise (70 to 75 DBA)at 1 meters. These are sufficient air for engine aspiration and proper heat dissipation as the fans maintain proper cross flow. Specially designed residential silencers which maintain low noise level. These are vibration free because of providing anti vibration mountings as well as flexible bellows. Looking for Soundproof Acoustic Enclosure ?